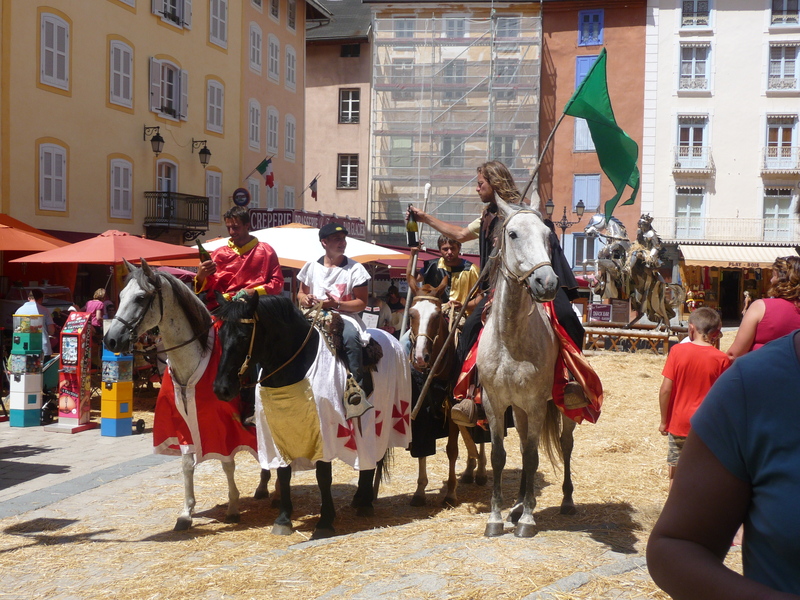 Having spent most of yesterday doing all those little jobs you have to do, we decided to head down to Briancon this morning where there was a medieval festival . All sorts of crafts, armoury, and shenanigans going on. 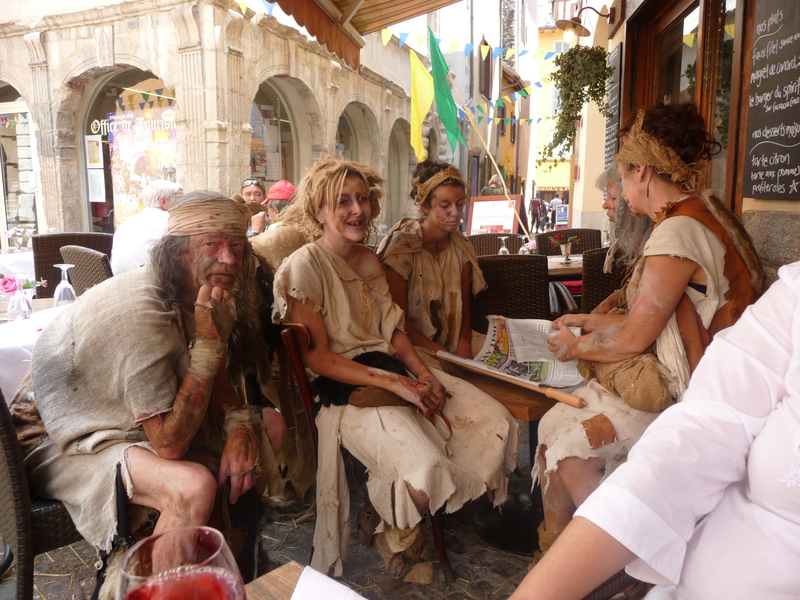 Above, a family of plague victims were enjoying a drink (I heard rumours they were the local gendarmes but not sure of that one), while we ate our lunch in the Spirit bar opposite the church. 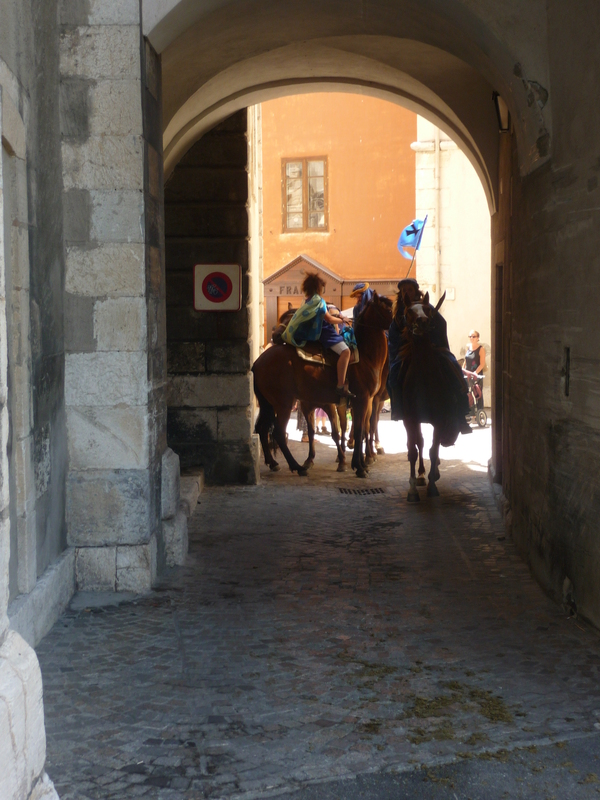 Silversmiths were demonstrating their wares, and a large number of horsemen and women were enjoying the atmosphere, although their horses did not seem to be enjoying it too much. A great day out, with loads to do for all the family as they say.